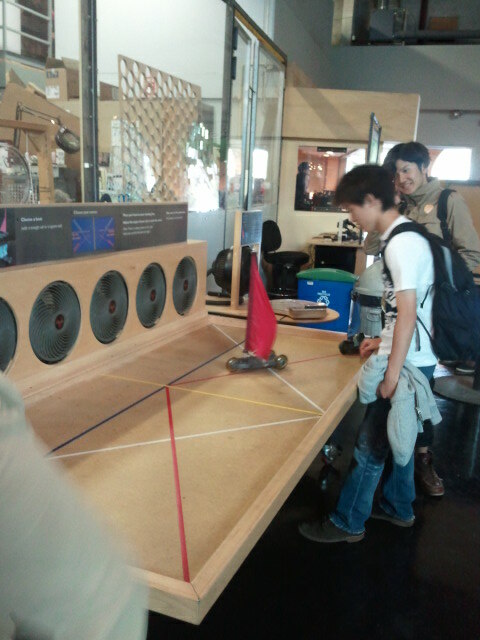 Having spent a lot of time during my childhood at the “world’s largest museum of technology and science”, the Deutsches Museum in Munich, I had memories revisit me when I saw my son exploring and investigating at the San Francisco Exploratorium, named “ Best Science Center in the World” by the 4th science center world congress in Rio de Janeiro. The Exploratorium is an absolute treasure for young and old, and just makes you want to go ahead and explore by touching and interacting with the “…475 interactive exhibits, displays and artworks that are currently on view”. The various hands-on exhibits study the fields of biology, physics, listening, cognition, and visual perception in a very unique way and in captivating presentations. Even if one is not born with the ‘science gene’, a visit to the Exploratorium might just awaken your natural sense of curiosity and make you not want to leave this interactive museum. We spent almost a full day here and still felt there was so much more we needed to see. And there will be even more to explore, learn and see in the near future. 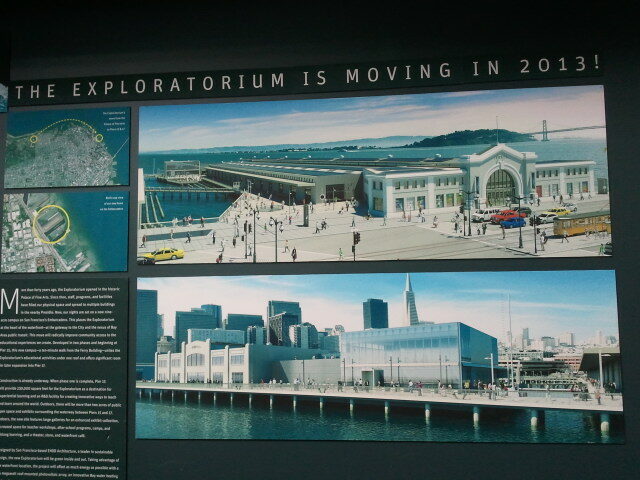 The Exploratorium is moving and will have a new home by spring 2013. The new space on Pier 15 will house a nine-acre campus right on San Francisco’s historic Embarcadero. Tickets are $25 for adults, $19 for youth and children under 5 years of age are free. First Wednesdays of the month are free.